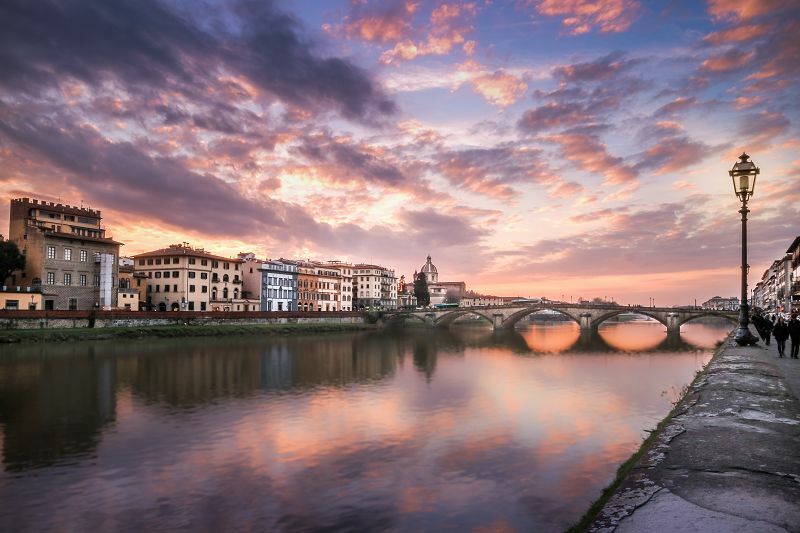 Having a Sixt car hire in Florence is the perfect way to explore this beautiful Italian city, the birthplace of the Renaissance. For much of its history, Florence dominated Europe politically and culturally. It invented opera, financed voyages of exploration to the New World and was the home of artistic greats like Brunelleschi, Dante, Galileo and Botticelli. 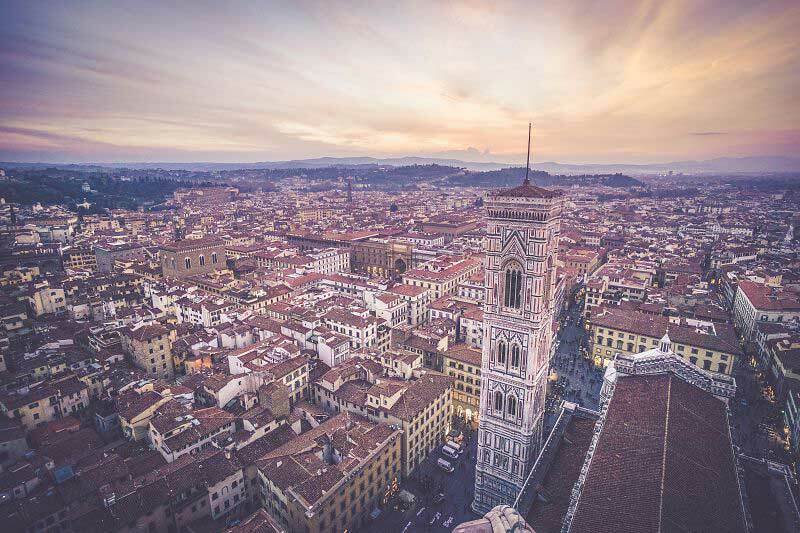 When you hire a car from one of our two convenient branches in Florence you can really make the most of this city's architectural gems and the surrounding Tuscan countryside. Our branch page gives a quick overview of our car rental in Florence branches with information about their opening hours, addresses and fleets. Click on them for more details about each office. Return to the menu and use the grey right-hand tab to open a map which can be expanded to show our exact locations in Florence. Our airport branch has a convenient 24-hour return facility but please note that our city centre branch is only open in the mornings from Monday to Saturday. To see just how affordable our car hire in Florence is do a quick online price comparison before making your reservation. Reserving rental cars is quick and easy, either use the booking hotline or download the Sixt apps for iOS and Android devices. We are able to guarantee your chosen category of car rental in Florence but cannot do the same for specific makes. You will, however, always receive a sunny Italian welcome from our staff whether your reservation is for a weekend or longer. Our Florence car hire fleet has vehicles for every party size and budget whether you are visiting the city for business or leisure. Both of our car hire in Florence branches carry a premium range of cars ranging from compact and affordable saloons to more spacious estate cars, both ideal for city driving. Rugged 4x4s are a great choice for exploring the Tuscan countryside or why not head to the coast in a luxurious convertible or sports car? Whichever rental vehicle you choose will be supplied by a trusted name such as BMW, Audi, Mercedes-Benz or Porsche. We also have cars adapted for different mobility needs. Our attractive range of optional extras is perfect for enhancing your driving experience in Italy. Sat Navs help you navigate the narrow streets of Florence while child and baby seats keep youngsters safe. If you are heading to the Winter ski resorts of Tuscany then add ski racks and snow chains to your booking before looking out for great deals on extra insurance, additional drivers and unlimited mileage. We are always happy to welcome younger drivers under 25. Both of our Florence branches are operated in partnership with Win Rent. On arrival at Florence Airport head to the bus stops outside the arrivals hall and pick up the courtesy shuttle bus to the car rental area. Florence Amerigo Vespucci Airport, known locally as Peretola is just 15 minutes drive from the city centre. Our city branch is on Via Borgognissanti in the heart of the city and just a few steps from the River Arno and within walking distance of the Santa Maria Novella Train Station. Driving in the historic city centre is only authorised for residents with permits and is strictly enforced. Florence also has some of the tiniest city streets in Europe and many confusing one-way systems making your Sat Nav an invaluable aid to a stress-free visit. Once away from the city, though, Florence enjoys fast and generally well-maintained road links with the rest of Italy or simply enjoy a pleasant meander through the country roads of Tuscany. Within the city only park in blue zones or clearly marked public garages. These are all pay and display parking. Extensive free parking is available in the Piazzale Michelangelo to the South of the town. Time limits are strictly enforced and it is a very scenic 20-minute walk into the heart of the city. There is so much to see and do in Florence that you're sure to be tempted back for another visit, but this time start in the historic centre with a tour of Florence Cathedral and the medieval Baptistry next to it. 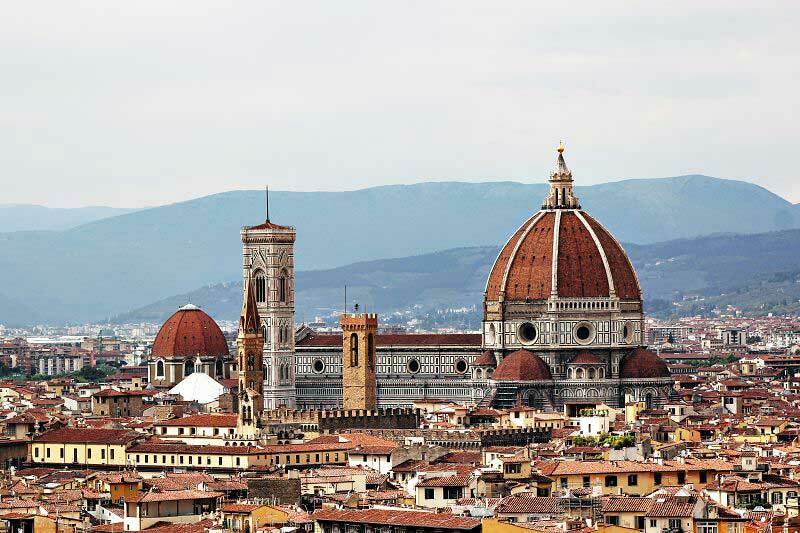 The cathedral dominates the skyline with its huge dome designed by Brunelleschi. Take a tour of the Palazzo Vecchio before heading to the Mercato del Porcellino to shop for a picnic lunch. It's a must in Florence to stroll over the Ponte Vecchio, possibly one of the most famous bridges in the world. Stop to browse the jewellery shops on the way. 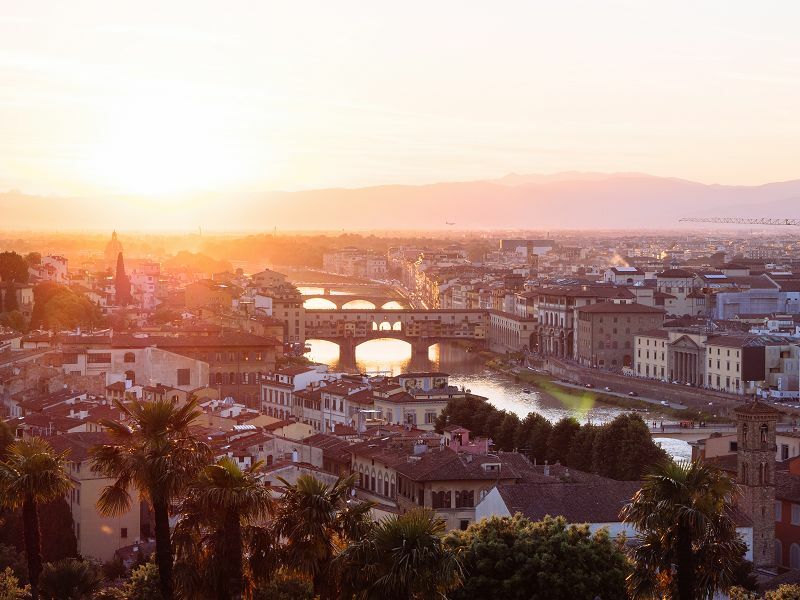 End your first day in Florence by taking the short drive up to the top of the Fiesole Hill and watch the setting sun add a glow to the city's roofs. Florence is probably unique in the world for the sheer amount of museums and galleries it has with over 80 to choose from. At the top of the list are the magnificent Renaissance collections of the Uffizi, but don't miss the Archaeological Museum, the Medici Chapels and the Strozzi Palace. Most museums in Florence offer free entry on a Sunday. To avoid long queues always try and book the most popular museums online in advance. Florence is in the Chianti wine region and taking a drive to the attractive small town of Greve gives you the opportunity to explore a working vineyard. If you want to spend the day soaking up the sun on family-friendly beaches or have a go at snorkelling in clear waters then head slightly South of Florence to the town of Livorno. 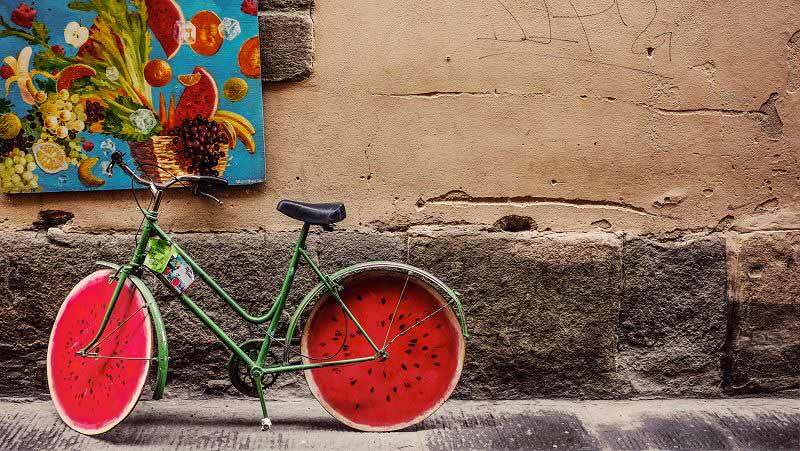 The town of Pistoia has something for all ages, a historic centre for the adults and the Giardino Volante where contemporary art is turned into an adventure playground for the kids. Tourism and the income generated by international students are the biggest economic sectors in modern Florence. Other important areas are the manufacture of leather, jewellery, high-end clothing and shoes and the iconic Vespa motor scooter. The production of Chianti wine is still very important in the Tuscan region around the city. The Firenze Fiera Congress and Exhibition Centre combines three venues in the heart of the city, two historic and one contemporary.